Indeed, to Allah we belong and to Him we shall return. 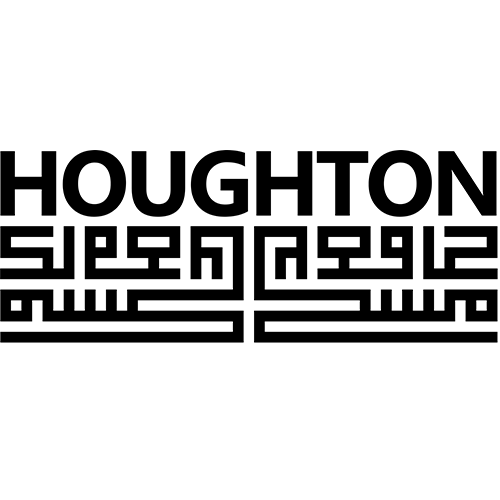 On behalf of the Houghton Muslim Jamaat and Sheikh Moosa (Muazzin), we would like to take this opportunity to express our heartfelt thanks and appreciation to all the members of the Houghton community and surrounding areas who assisted and contributed both financially and by way of support during this difficult time. We pray that Allah SWT grant him the highest stages in Jannah and give all the family and friends Sabr during this difficult time. The various financial and emotional obstacles that we have been able to overcome during this difficult time were a direct result of the hard work, dedication and devotion of the members in our community. Medi Response who were the first medics to arrive on the scene. They transported Abdul Kareem under diffcualt conditions assited by ER24 Medics. Their compassion and dedication is commendable. We appreciate that the medics constantly made contact to get followup reports and attended the Janazaah Salaah. Mehnaaz Patel who treated at the hospital and was accompanied the ambulance when transferred to Garden City Hospital. Dr Laher who assisted with trying to secure a bed in ICU and with the preparations during the admission at Johannesburg General Hospital. He also assisted with the arrangements to transfer to Garden City Clinic. Garden City Clinic and their staff members. Many Doctors from the Houghton area who practise at Garden City Clinic engaged with management to admit the admit Abdul Kareem on compassion. Bartlett who took medical care of Abdul Kareem from the time of admission. Dr Garda who made various telephonic calls to management of Netcare requesting a compassionate patient billing. Dr Riaz Khan who was our primary source of communication. He continued to liaise with the Family and also the various doctors regarding Adul Kareem’s condition. Dr, Khan also arranged consultations with counsellors for the family. Dr Shaheeda Omar for her consultation and counselling sessions with the students from the Hifz classes and family. Moulana Zafar Patel and Mufti Minty for his time and effort. Chohan at Garden City Clinic who continued to assist with the negotiation regarding the costing of medical bills. The Caring Womens Forum and other organistaions for their generous donation. Dr Ashraf Wadee, Dr. Vachiat, Dr. Khaleel Ismail and Professor Adam Mohammed and Dr. Soraya whom were also consulted for medical opinion. Jazakallah to each and every person who has contributed in one way or the other, we were overwhelmed with the willingness and support from the community who went the extra mile for the Marhoom and his family. You have been a source of strength for us and may Allah (SWT) reward each and every one of you for all your invaluable efforts and sacrifices. May Allah (SWT) grant the family of the Marhoom patience and strength during this difficult time. We request that you remember and keep them in your duas. May Allah (SWT) grant us and all the Marhoomeen Forgiveness and Jannatul Firdaus. ROHINGYA THE FORGOTTEN PEOPLE by Moulana Sulaiman Moola As we straighten our lines, let us also straighten our lives.